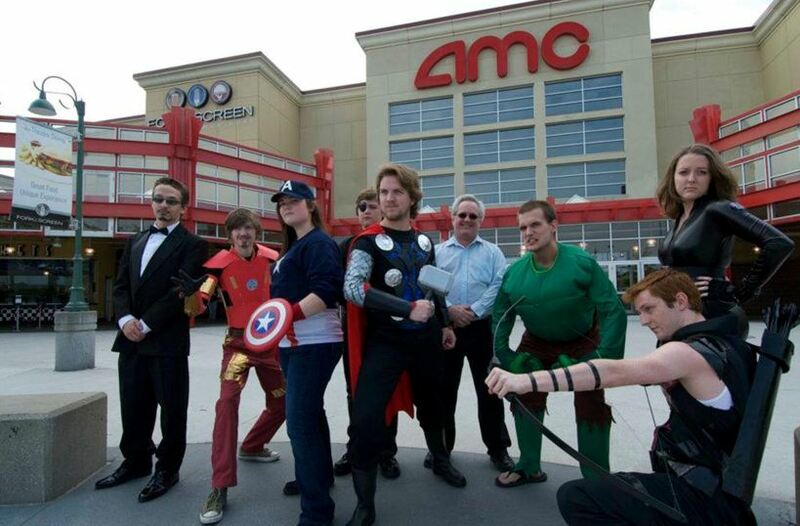 Marvel Studios’ newest and boldest superhero movie yet, The Avengers premiered on Friday in North America. To celebrate the superhero team-up movie five years in the making, AMC Theaters nationwide offered an all-day Ultimate Marvel Marathon in select venues, previewed here last week, showing all five previous Marvel Studios super heroes movies, in order, leading up to the midnight premier of The Avengers: Iron Man, The Incredible Hulk, Iron Man 2, Thor, and Captain America: The First Avenger. I reviewed the movie Saturday here at borg.com, but now I want to share the most excellent movie-going experience I had at the Ultimate Marvel Marathon. I had been to AMC special events before; they carry the Fathom Events series, including the excellent Lost panel I attended prior to the series finale. I had also previously attended their all-day screening of the extended versions of The Lord of the Rings trilogy, which was discussed here at borg.com. So I knew AMC would do this event right, but even I had no idea how Mighty it would be. Early Thursday afternoon, the theatre was packed and there were tons of fans sporting their hero gear, many throwing props to their favorite heroes from both within the Marvel and DC universes and without (one guy sitting near me had on an Archer T-shirt, which I thought was hilarious. Several fans were wearing Justice League gear, like silent cries for DC to follow in Marvel’s footsteps and begin work on a similar movie featuring their favorite DC characters. There were several good costumes floating around, including a convincing Tony Stark in party tux and a great home-made Thor outfit which drew lots of cameras. The folks at the AMC 30 Theater I attended the event at had things well planned out. Marathoners had lanyards and special 3D glasses provided, and a limited supply of a free special issue of The Avengers comic book. 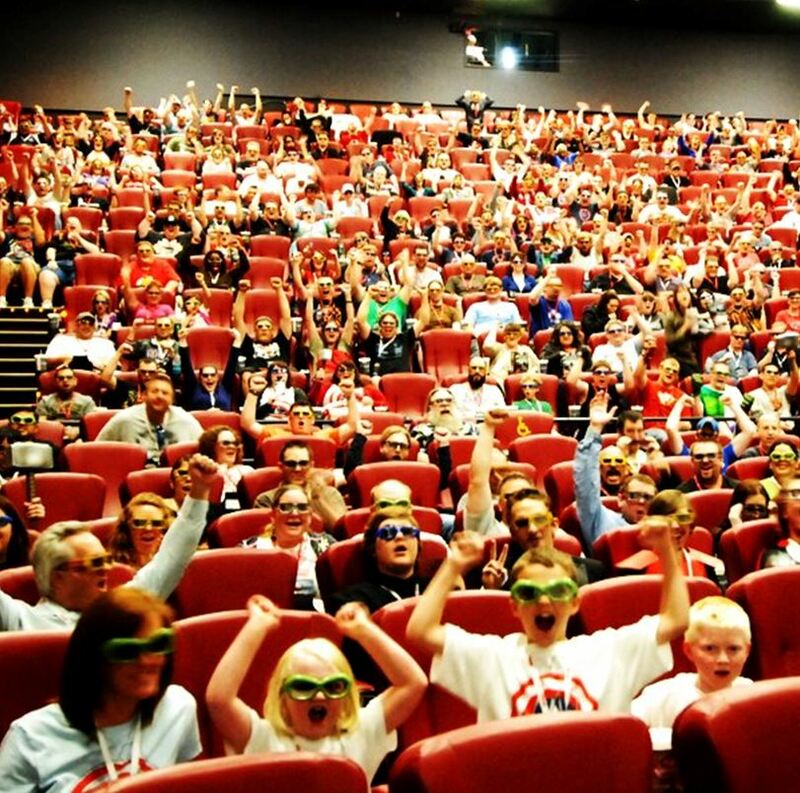 There were activities planned including trivia in between each movie and select prizes for the correct answers (posters, additional 3D glasses, and masks). 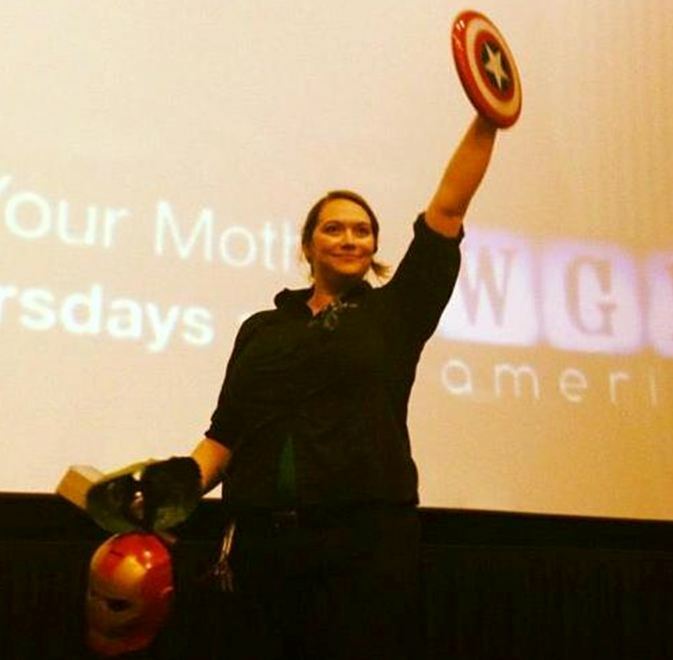 Before the showing of the first movie, Iron Man, the AMC hostess took a favorite character survey among the “Big Four” Avengers (the ones who have had their own movies thus far) and though it was close between Captain America and Iron Man, Tony Stark pulled it out during the second round of voting. When the lights dimmed, the surprises were far from over. Before each of the five movies leading up to The Avengers premier, there were short “debriefings” shown featuring none other than our favorite S.H.I.E.L.D. agent, Phil Coulson. He provided brief reviews of the movies’ main characters, personalities, and the circumstances leading up to them becoming involved in The Avengers Initiative. Before Iron Man, Coulson did a very funny bit throwing out a copy of Tony Stark’s own description of himself (in a very thick binder), and then showing Coulson’s own single-page description which was entirely inked over, being heavily redacted by the government. There were very big cheers when each movie started, and huge laughs during all of the funny scenes in every movie. The crowd was loud and raucous, and the carnival atmosphere was everything I had anticipated and more. It was like being in the middle of a gigantic, six-hundred person nerd love-in, and everyone was loving it. When Stark announced “I am Iron Man” at the end of the initial movie, you couldn’t hear yourself think over the huge cheers. 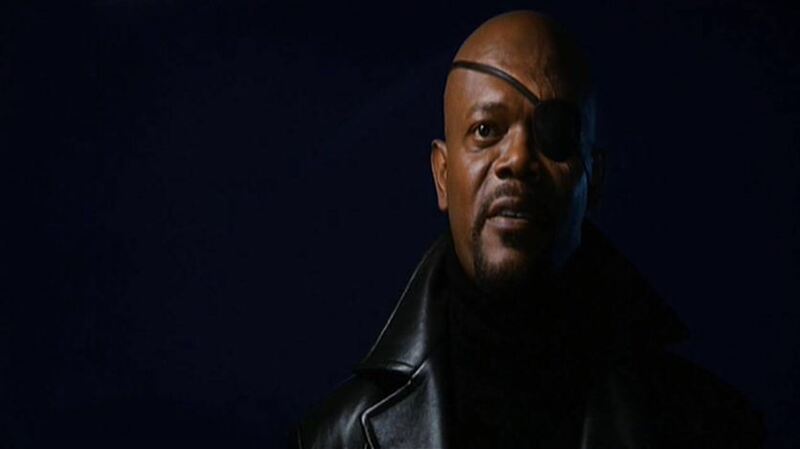 When Nick Fury came in for his first cameo at the end, the theater filled with an unexpected electricity his final words: “I’m here to talk to you about the Avengers Initiative.” That scene took on a whole new meaning for the assembled crowd of fans, and the cheers were deafening. Throughout the showings of the movies, there were big cheers at the first appearance of each of our beloved heroes, and Marvel-ous applause every time a Stan Lee cameo occurred. When the Hulk kicked a heavily souped-up Captain Emil Blonksy into the tree in response to the “Is that all you’ve got?” the crowd roared the loudest it had thus far. And things only got better. The folks at AMC posted pictures on their Facebook page throughout the day and evening which fans happily scanned through on their smart phones in between shows. The great crowd even made Iron Man 2 enjoyable, with lots of applause and laughs especially at the expense of Justin Hammer, played with gleeful scumbaggery by Sam Rockwell. The last three films, Thor, Captain America, and The Avengers were all shown in 3D. Agent Coulson’s debrief prior to Thor ended with the instruction: “The time has come to put on your S.H.I.E.L.D.-supplied enhanced eyewear for three-dimensional presentation”. Big laughs at that one, like good little Junior Agents, we all did exactly as we were told. The movie Thor actually played a bit more corny against the others, or perhaps kitschy is the right term, when viewed along with the other films, especially the little New Mexico (?) town that never quite looks or feels quite real (as compared to Asgard, which was incredibly well-conceived and heavily detailed). The debrief prior to Captain America contained more humor, with Coulson beaming like a little kid as he shared with the audience that Captain America was his favorite hero. “I have all of his trading cards,” he nearly gushed, before quickly regaining his composure and asserting, “But enough about me.” Little did we know that this bit would play directly into the plot of The Avengers. Just before the premiere of the main event, at midnight the AMC folks led the entire audience in singing “Happy Birthday” to an audience member who was turning 21 at midnight. The song was accompanied by huge cheers and applause, and I know we made that guy’s day. And then the main event started, and it was a great present for us all, birthdays or not. AMC did this event right, a great movie event for movie lovers, and I’ll be sure to be on the lookout for future events such as this. The awesomeness of that event makes me weep slightly that we never seem to get equivalent presentations in the UK.